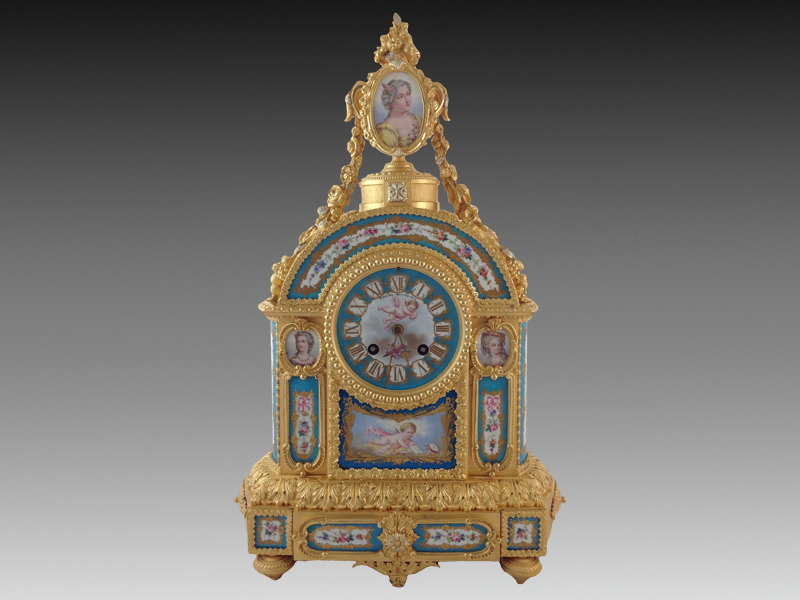 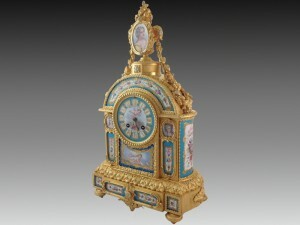 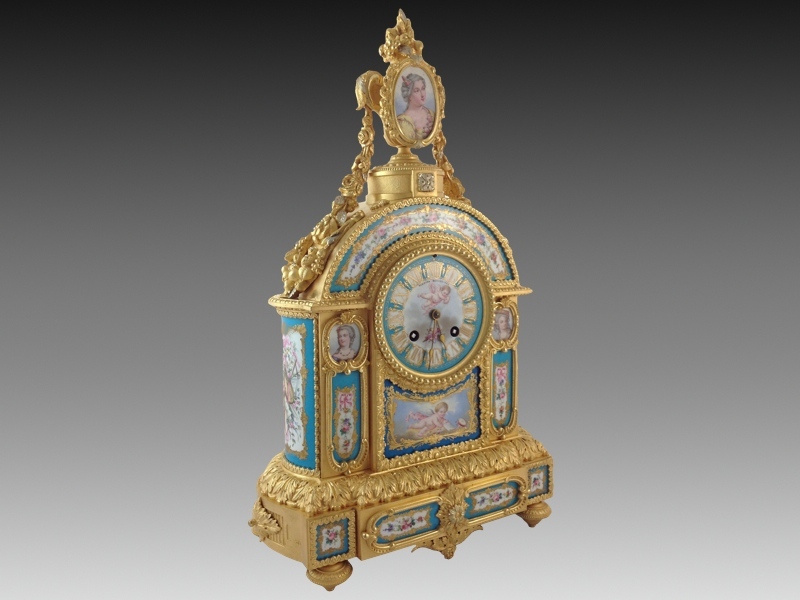 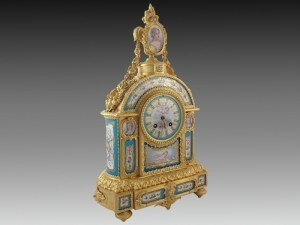 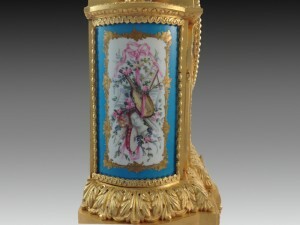 A fine Napoleon III, French, gilt bronze and blue celeste ground Sèvres style mantel clock. 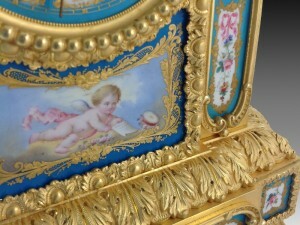 The porcelain dial painted with a putto surrounded with roman numerals. 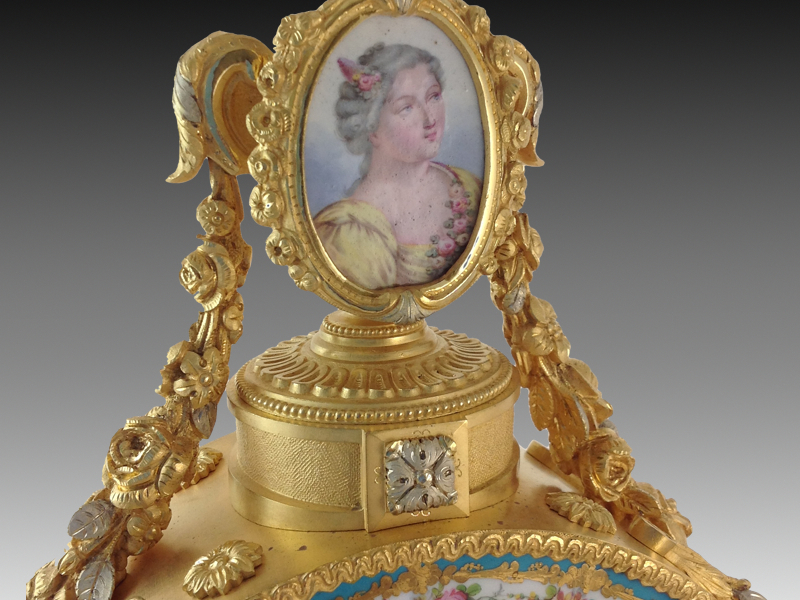 The finely cast and chased case surmounted with a porcelain oval portrait of an eighteenth century lady, above an arched top hung with gilt bronze floral swags. 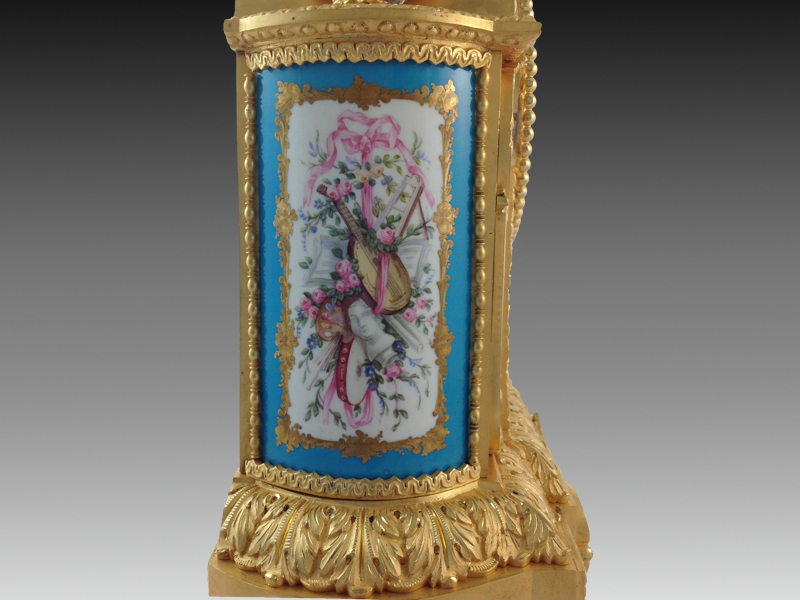 The bowed sides with porcelain panels painted with musical trophies, the front with further panels painted with flowers, amour and portraits, within gilt cartouches. 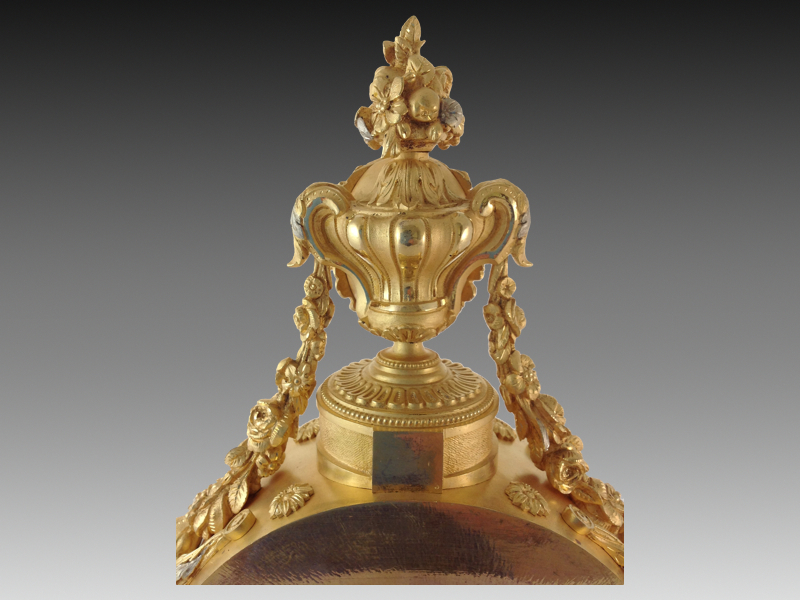 The case retaining its original matt and burnished gilding with silver highlights to the leaves. 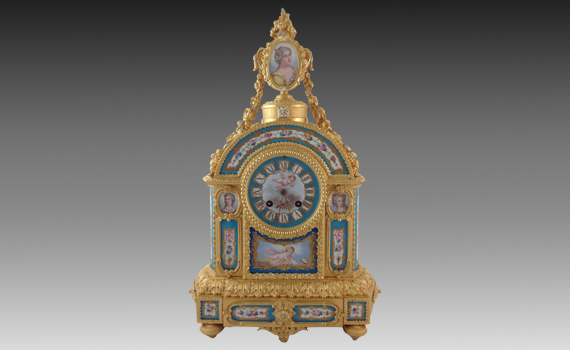 The eight day movement with Brocot escapement, rack striking the hour & half hour on a bell. 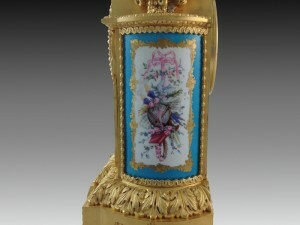 The movement stamped JBD (No. 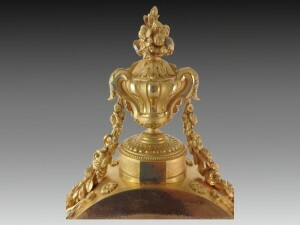 28948). The initials JBD on the movement are a monogram of Jean Baptiste Delettrez who is recorded as living in Paris circa 1845 until circa 1885. 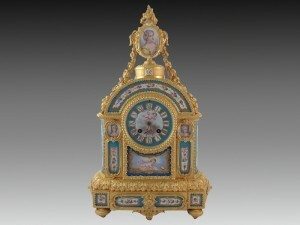 The case Numbered ‘3’.